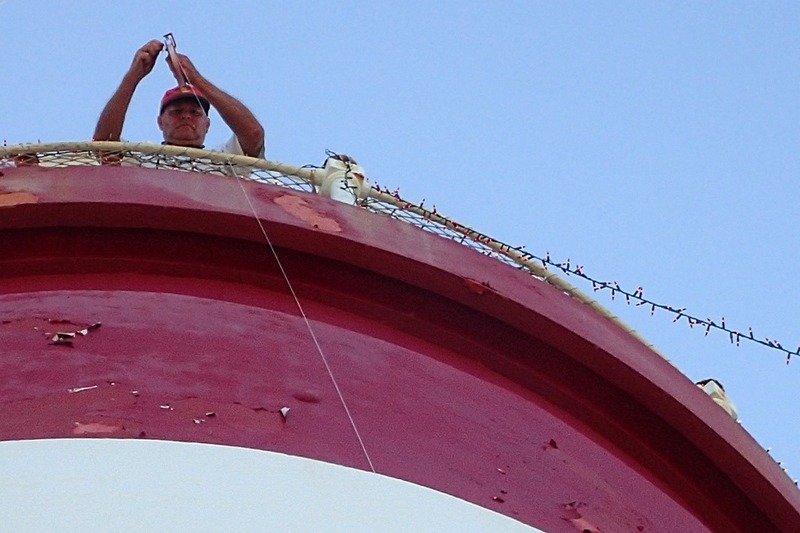 How do you decorate a 90’ lighthouse for the holidays? With lights. Lots of lights. 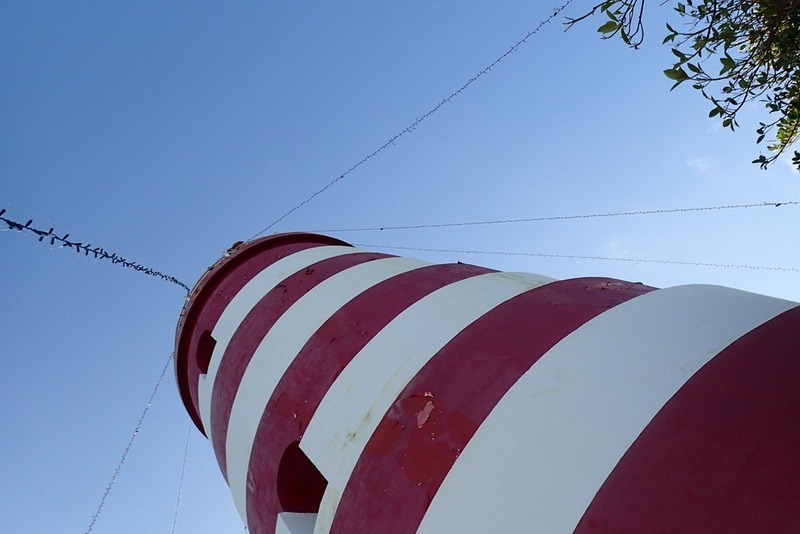 You need a ground crew at the base of the lighthouse to put together the right-sized lengths of lights – Goldwin was part of the ground crew – and then attach one end to a stake in the ground. 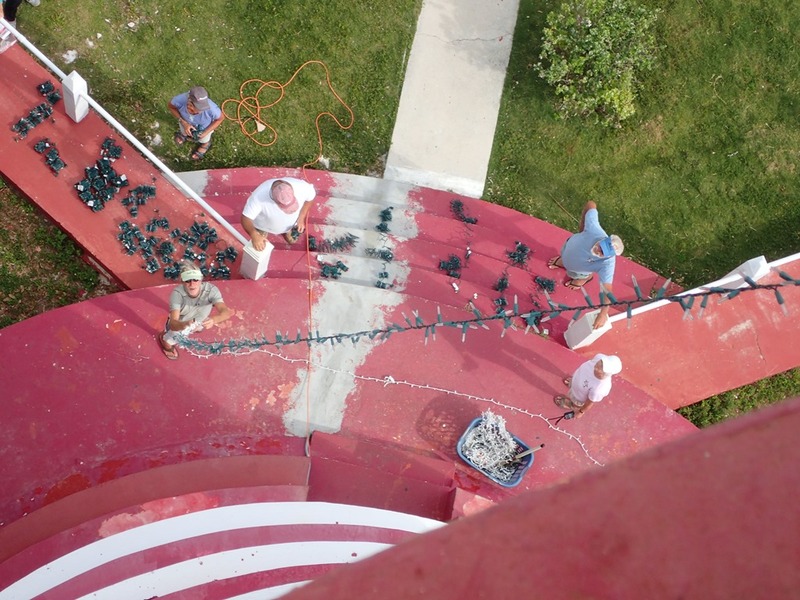 And you need a crew at the top of the lighthouse on the gallery deck to attach the other end of the lights to the lighthouse. I worked at the top. 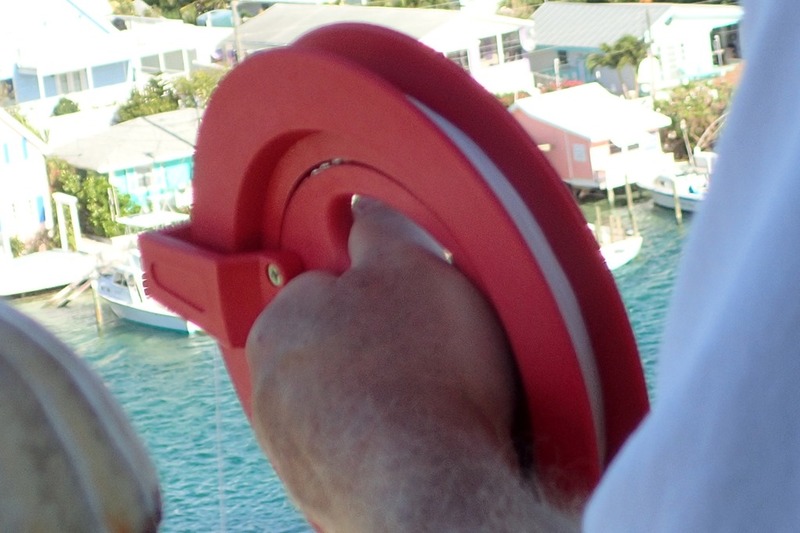 The crew up top would lower a line, using a spool made for flying kites. 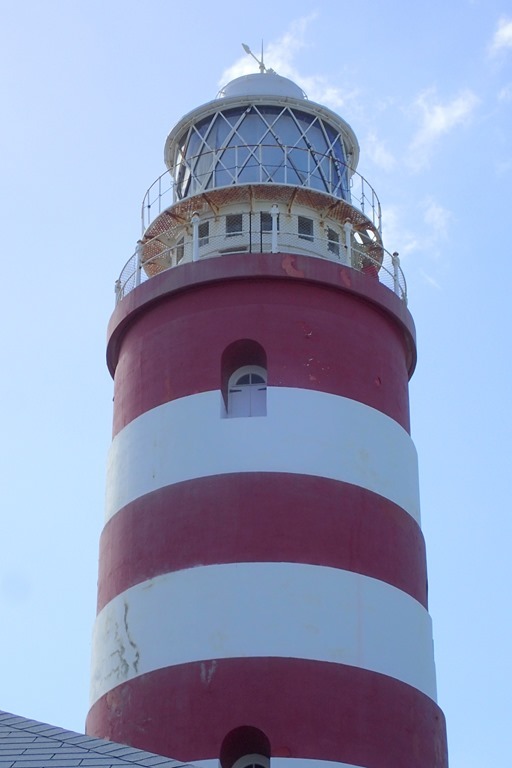 A tough job given the high winds and the trees and shrubbery on the north side of the lighthouse. But all went well. The end of the line was attached to a big fishing weight. 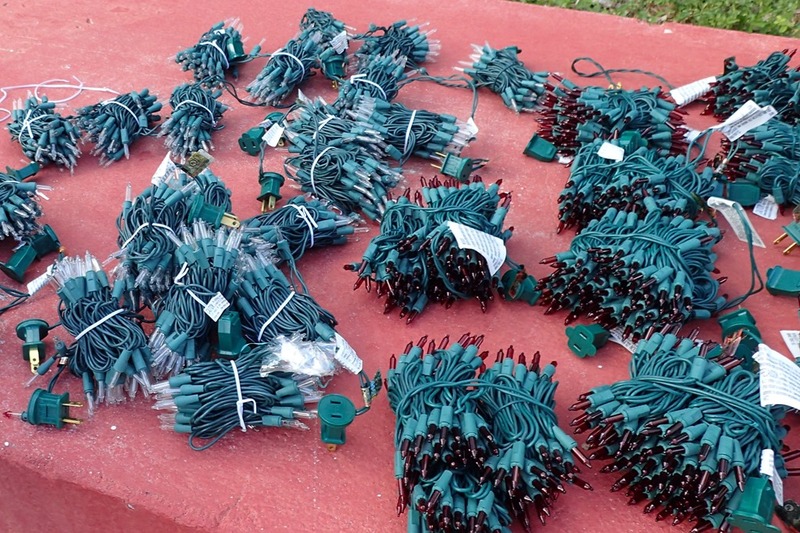 The ground crew would catch the line and hook a length of lights onto it. 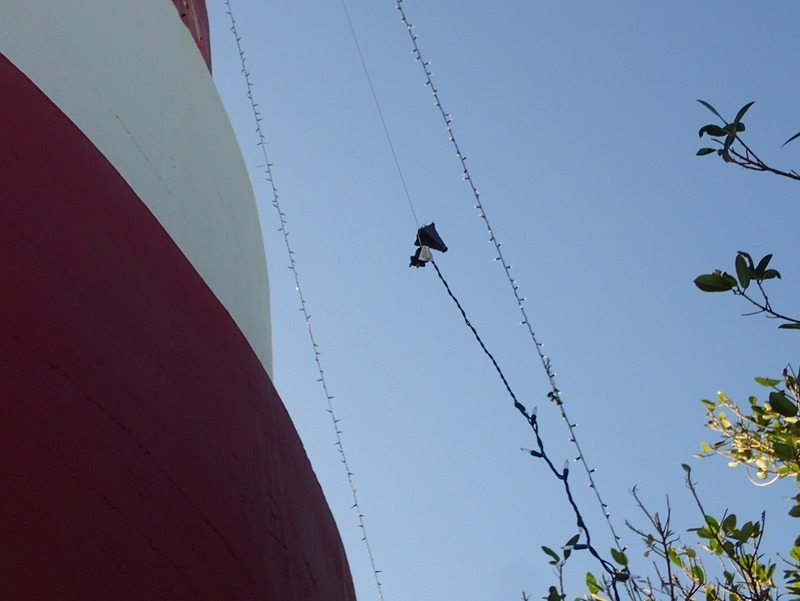 When the line was wound back around the spool, up the lights would come. 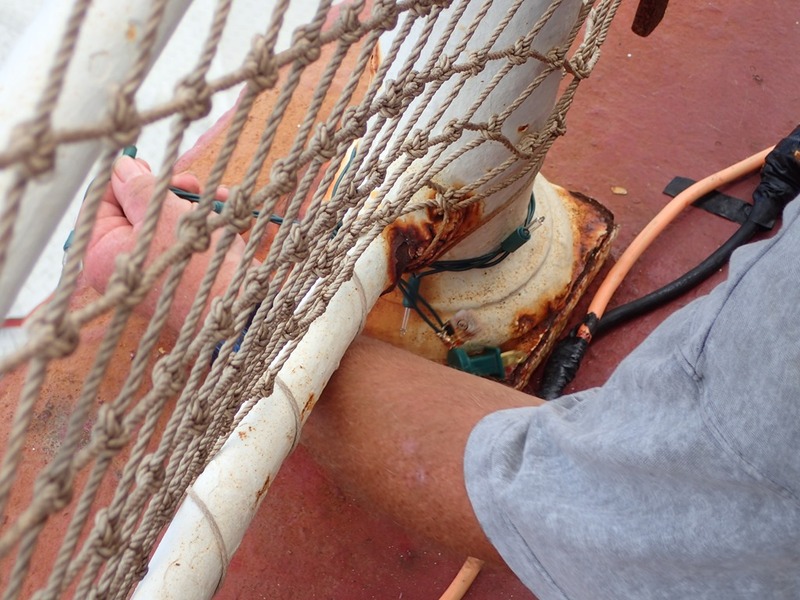 The up top crew tied the lights around the posts (stanchions) that anchor the gallery’s handrail. 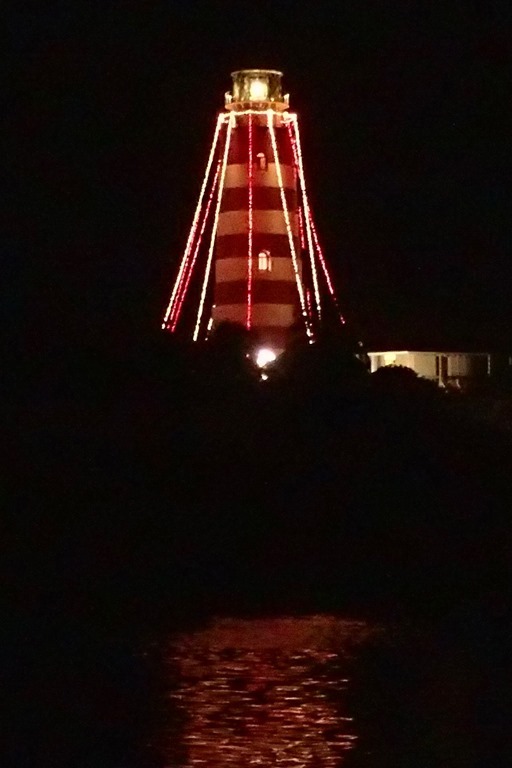 We worked counterclockwise around the lighthouse – about a dozen strands of lights. It took a couple of hours. And looked spectacular. 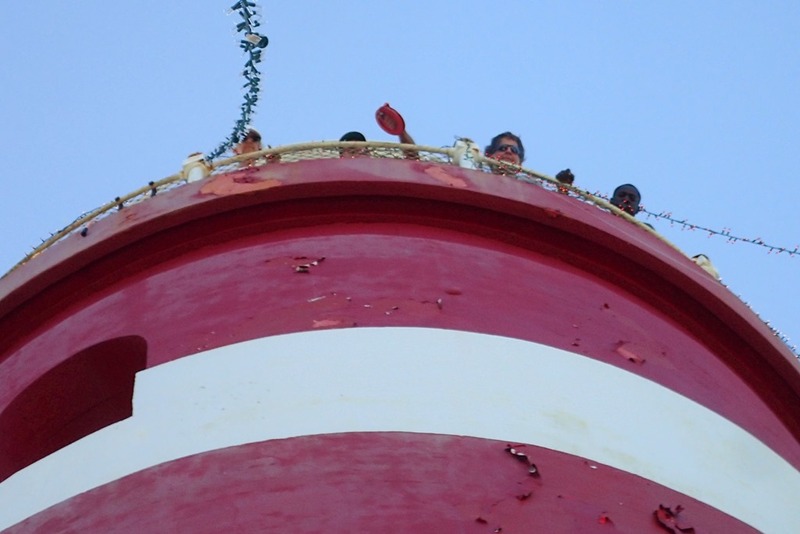 Happy Holidays from the Elbow Reef Lighthouse.